When you're working for long hours, it's important that the gloves you use are comfortable and flexible enough that they don't hinder your movement. 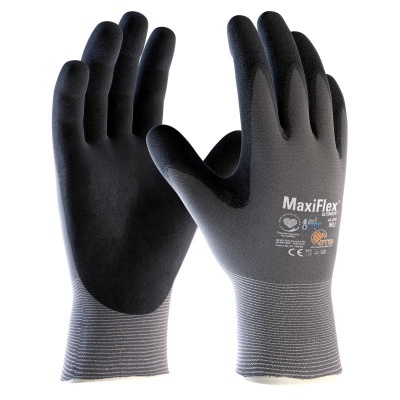 The MaxiFlex Ultimate AD-APT Palm-Coated Handling 42-874 Gloves mimic the hands at rest to reduce hand fatigue and increase your level of comfort. This makes them ideal for repetitive tasks and handling work. These are designated Category II gloves, meaning they should be suitable for most medium-weight tasks. The gloves are designed to mimic the hands at rest for an excellent fit, making them ideal for fine handling tasks that require additional grip. 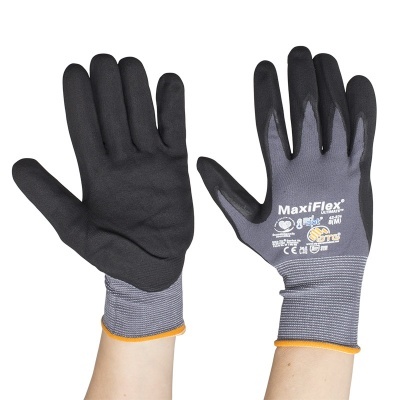 The MaxiFlex Ultimate Gloves are available in eight sizes to fit most hands. Please measure the circumference of your hand around the knuckles (excluding your thumb) with your palm open and your fingers together. Next, measure the length of your hand from the tip of your middle finger to your wrist. I’ve used these gloves before, having bought them at my local builders merchant. They are brilliant for all types of DIY and a bonus because they so much cheaper buying from workgloves.